It’s awards season – a time to acknowledge the best of the best in so many venues. There is the Superbowl, the Puppy Bowl, the Olympics, the Golden Globes, the Grammys, the Emmys and the Oscars! It’s a season of competition and winners!!! For a lot of people, that means a lot of parties and company which of course, means a lot of snacks. The “V” Word decided to test some snacks and find out which ones are the tastiest. Of course, any product endorsed by The “V” Word has to be Trudy-approved. Trudy is The “V” Word’s adorable spokescow. So in light of the season it only made sense to launch The “V” Word’s Vegan Trudy Awards. So what are some of the BEST snacks out there? If I may have the envelope please, the winner…. Made with organic ancient whole grains like brown rice, amaranth, millet and quinoa as well as flax, chia seeds and sesame, these pretzels are perfect for munching right out of the bag or for dunking in dips. They come in 3 flavors: Sea Salt, Chipotle Tomato and Curry. 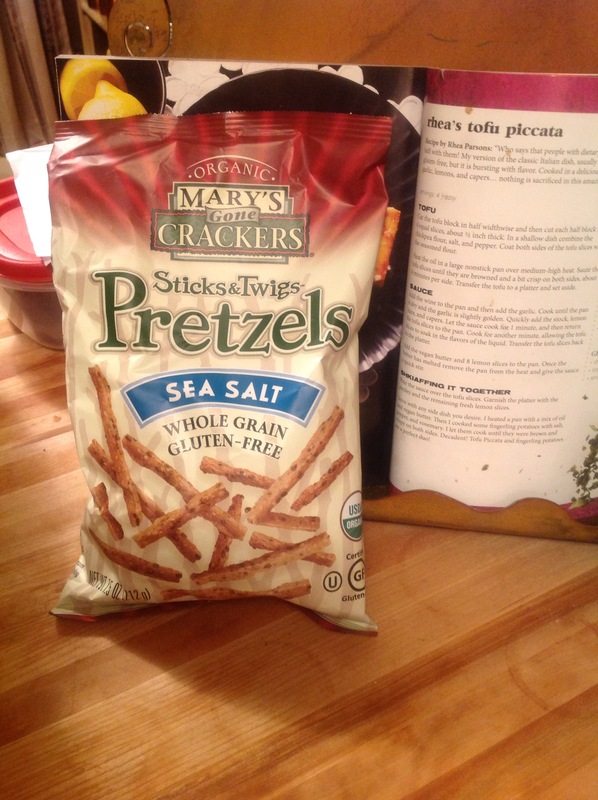 The snack that started it all: when Mary was diagnosed with celiac disease, she began baking crackers that were organic, gluten-free, vegan and kosher. Everyone loved them and it led to the birth of Mary’s Gone Crackers so the whole world could enjoy them. 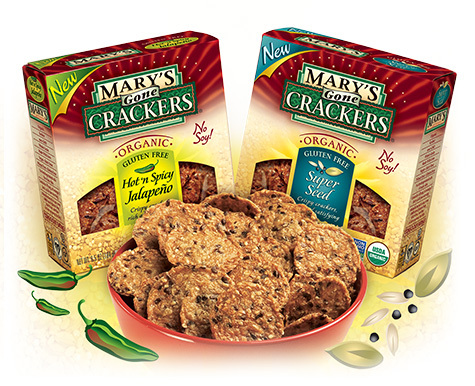 Mary’s Gone Crackers are available in 7…count ’em, 7 flavors: Original Seed, Super Seed, Onion, Caraway, Herb, Black Pepper and Hot ‘n Spicy Jalapeno. Crunchy and tasty, these are always seen at the best parties, probably mingling with the hummus and other dips. If you miss Doritos, these are the chips for you! Beanfields Family Owned makes the most amazing chips. They are gluten-free, vegan and non-GMO. Filled with beans, these chips are actually good for you. They have tons of protein and fiber, complex carbs and minerals and less fat. But more importantly, they are so delicious!! 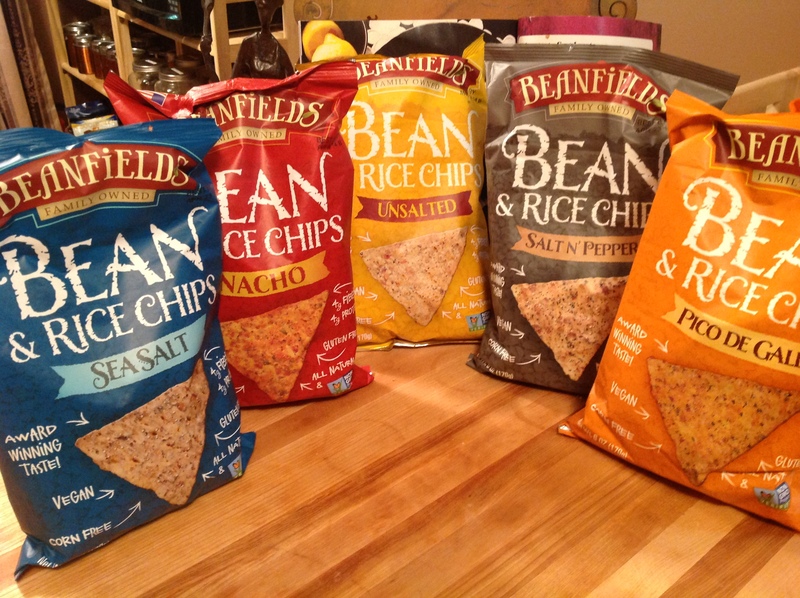 If you buy Beanfields, you better buy several bags because they are going to disappear in minutes (and maybe keep an extra bag hidden away for you later). Beanfields Bean and Rice Chips come in 5 flavors: Sea Salt, Salt ‘n Pepper, Unsalted, Pico De Gallo (Tom’s favorite) and Nacho (my favorite). Applause Applause!! The first vegan rice chip I ever tasted was Lundberg Rice Chips in Wasabi flavor. I was instantly hooked! Brown rice chips seasoned with horseradish and mustard, these chips really get your taste buds going. Lundberg Rice Chips come in several flavors but be sure to read the labels as not all of them are vegan (Lundberg, please swap the honey for agave). 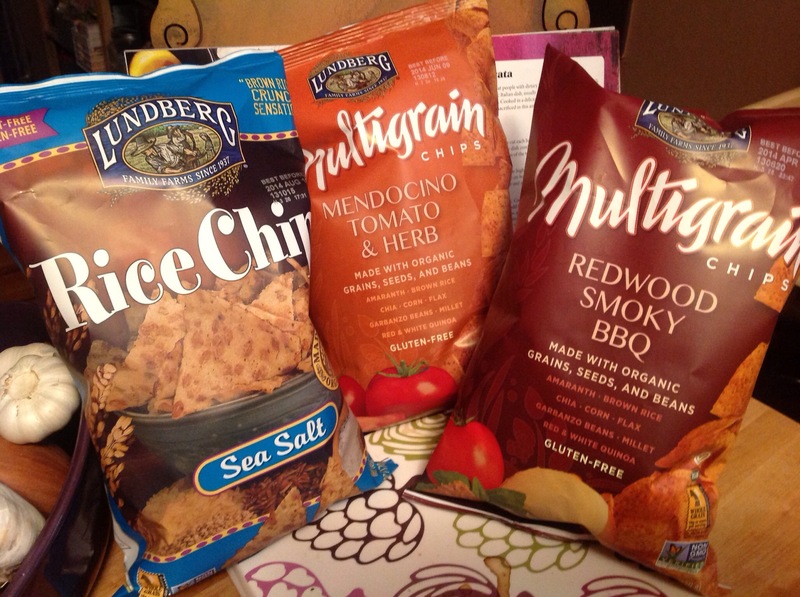 Lundberg also makes Multigrain Chips that are made from whole grains such as brown rice, quinoa, amaranth, corn and millet along with chickpeas, chia seeds and flax seeds. They come in unique flavors: Mendocino Tomato and Herb, Mohave Jalapeno, Shasta Chipotle Lime and my favorite, Redwood Smoky BBQ. I bet you have tried Peeled Snacks. If you have ever been in a Starbucks searching for something vegan, anything vegan, to eat, you have picked up a package of Peeled Snacks from that basket by the counter. Peeled Snacks are dried fruit that are so crunchy and delicious, you would swear you’re eating candy. Peeled Snacks are made from natural and organic ingredients from sustainable farms. They provide minerals, vitamins and a full serving of fruit with no added sugar. Peeled Snacks come in both single-serving and multi-serving packs of single-flavor dried fruit snacks such as apple, apricot, banana, cherry, mango and pineapple. They also make Apple Clusters – diced organic apple pieces rolled into tasty clusters that are crunchy and delicious. I like to top my yogurt with these. They come in Apple Crunch, Cinnamon Crunch and Berry Crunch. 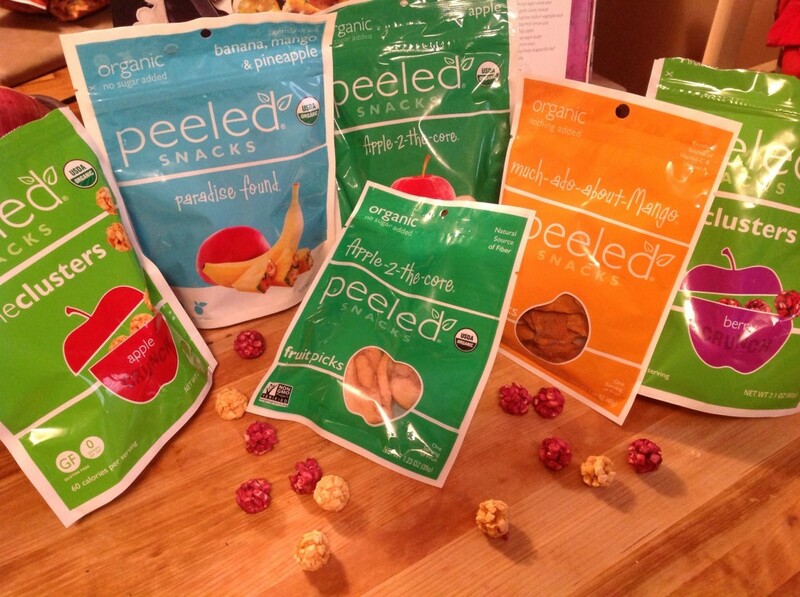 Check out Peeled Snacks web page and sign up for their newsletter so you can get 10% off your first order. Eden Organics, the company that gives us so many of our favorite products, also makes incredible snacks that come in 1 oz., 4 oz., and 1-lb. bags. Dried Cranberries, Dried Montmorency Cherries, Dried Wild Blueberries and Wild Berry Mix are all great for munching but can also be tossed in salads, yogurt, granola or used in baking. They have intense flavor and are a healthy, organic snack. 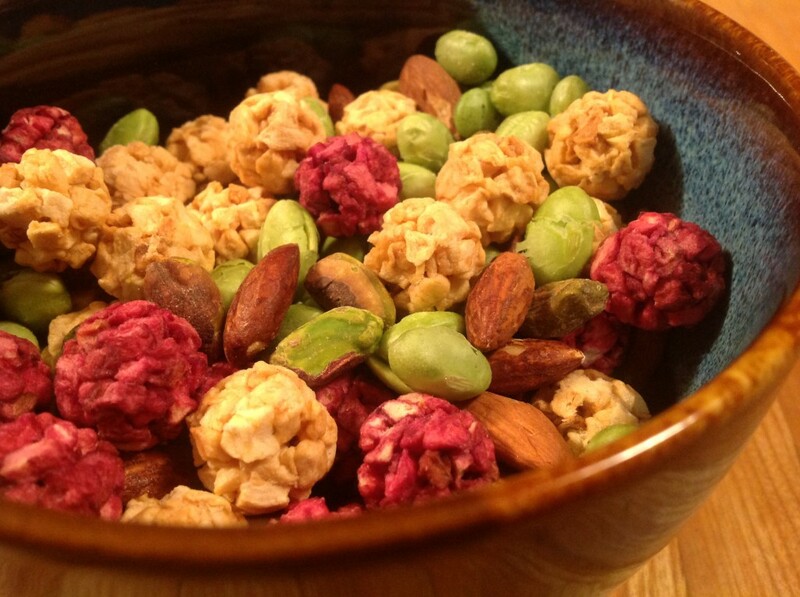 Eden Organics have a wide variety of nuts also. Pistachios, Pumpkin Seeds, Spicy Pumpkin Seeds and my favorite, Tamari Roasted Almonds. All of these are great for snacking, for taking with you on the go or for using in recipes. 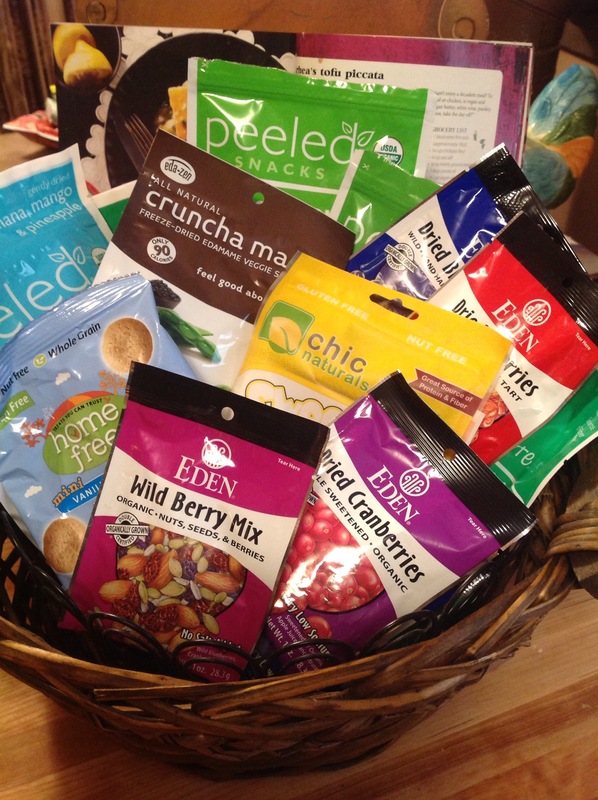 Snacking has never been so healthy or so tasty! That’s right, best edamame snack. We all know that edmame is a nutritious addition to stews, soups and stir-fries. Many people like to munch frozen edamame as a snack. 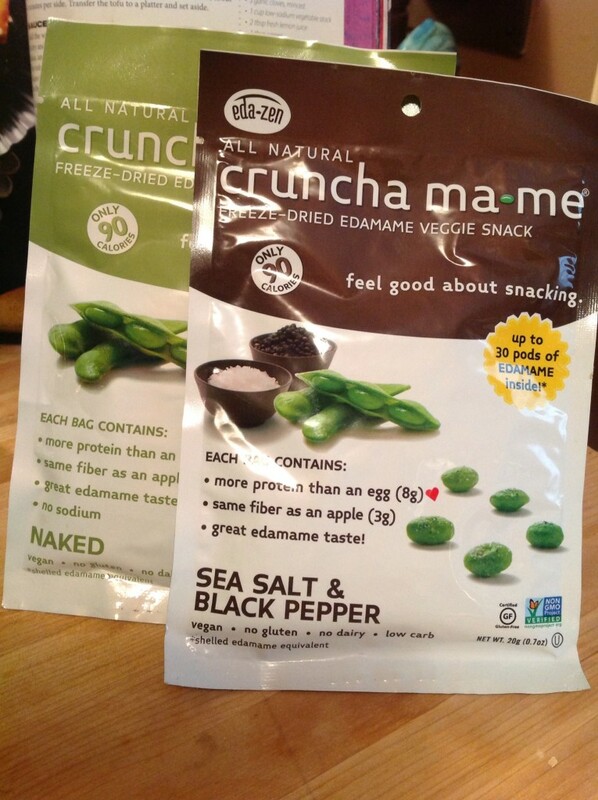 Now Eda-zen has created Cruncha-Ma-Me, an all-natural, high protein, non-GMO, gluten-free and vegan snack that is delicious and unexpected. Cruncha-Ma-Me is a snack that’s not only healthy but fun to eat. They are freeze-dried so all the nutrients and good stuff stays in there. Then they use natural seasonings to give us Cruncha-Ma-Me in Sea Salt and Black Pepper, Lightly Seasoned, Onion and Chive, and Jalapeno (my favorite). They also come in Naked for people who don’t want any seasoning. This edamame veggie snack will make you feel good about snacking. Check out their web site for a coupon. Something really amazing is happening in Hawaii. Yes, there are the amazing beaches, the perfect weather and the beautiful sights but now there is another reason to love the Aloha State. 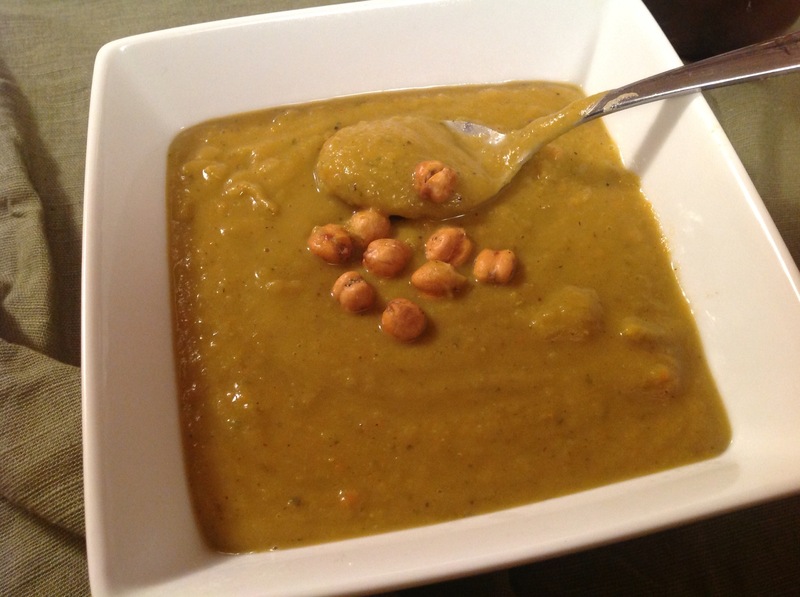 Chic Naturals has taken our favorite legume, the chickpea, and made a tasty and healthy snack that is addictive. 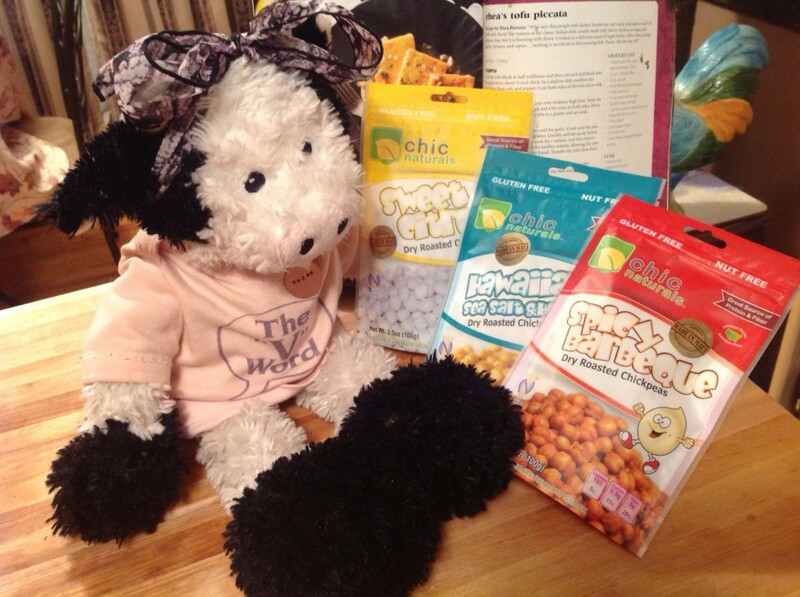 The flavored chickpea snacks come in Sweet Citrus, Hawaiian Sea Salt and my favorite, Spicy Barbeque. 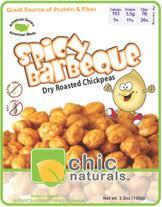 Chic Naturals also sells Plain Dry Roasted Chickpeas which are great for munching as they are or for using in recipes. I have used them like croutons for my soup. They add crunchy texture to salads, oatmeal and yogurt. You can also flavor them yourself – I’m seeing Buffalo Chickpeas in my near future. Chic Naturals also takes all the crumbs from making their amazing snacks and bags them for a gluten-free “bread crumb” alternative. Right now Chic Naturals are only available in stores in Hawaii but you can order them on their web site. And once we get the word out about just how incredible these snacks are and ask our stores like Whole Foods and other markets to carry them, I’m sure Chic Naturals will be available everywhere. At least that’s my dream. So please “like” them on their Facebook page and show them some love! 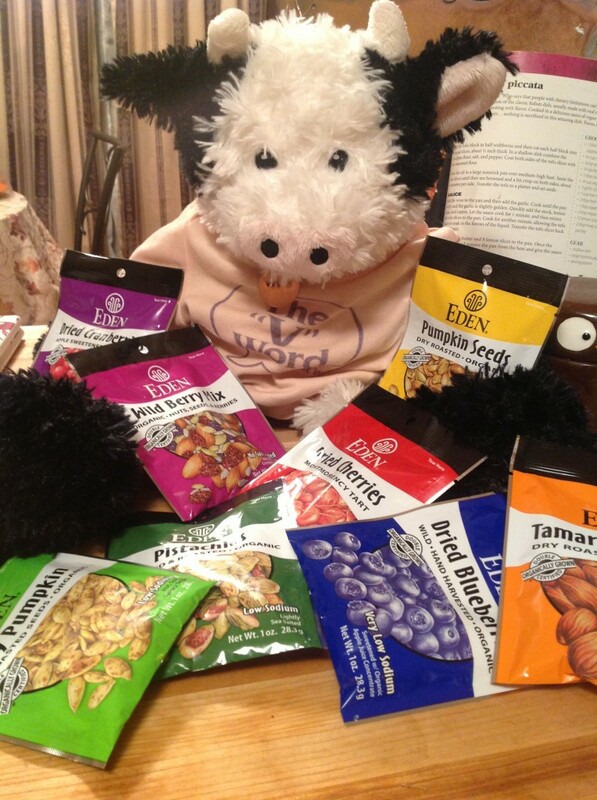 Congratulations to all The Vegan Trudy Awards Winners! And thank you for making such delicious, fun and compassionate snacks! 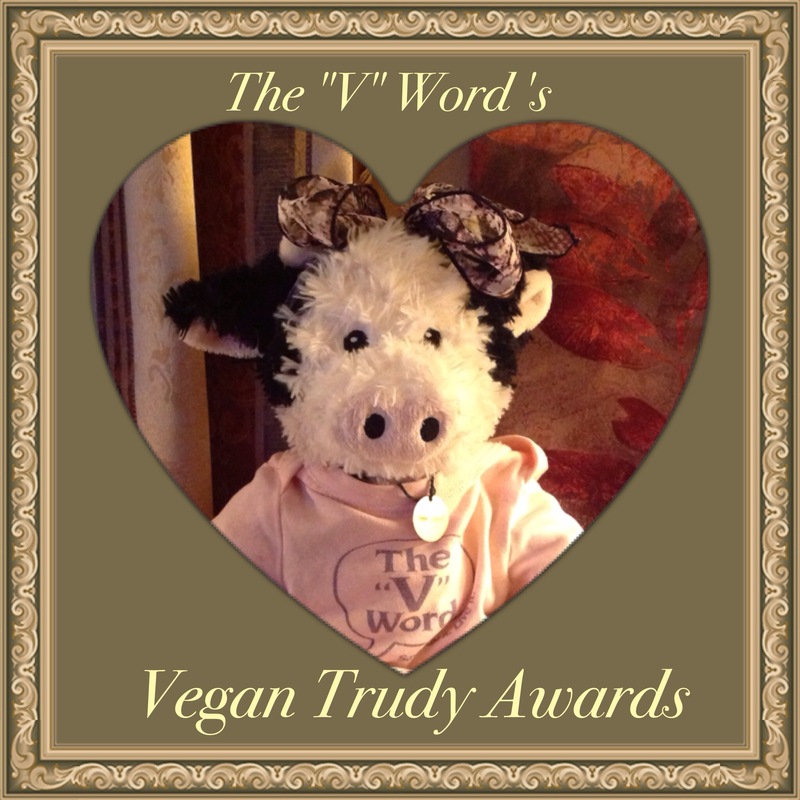 Keep your eye out for the next installment of The “V” Word’s Vegan Trudy Awards. We’re thinking cookies next! Enjoy! Thanks for choosing Beanfields Bean and Rice Chips. We love eating them too!